AIM Solder, a leading global manufacturer of solder assembly materials for the electronics industry, is pleased to announce the introduction of CX18 and RX18 no clean cored wire solders, designed to offer excellent soldering results with all lead-free alloys and on all surface finishes. Engineered for high operator satisfaction, CX18 is a low odor/smoke formula which promotes thermal transfer and fast wetting without the need for additional flux. RX18 was developed for automated soldering and provides rapid solder penetration into plated through holes or surface mount interconnections and its specialized packaging ensures consistent, accurate, jam-free wire feeding. Leaving minimal, clear post solder residues, these products pass J-STD-004A and J-STD-004B SIR and corrosion requirements and do not require cleaning. 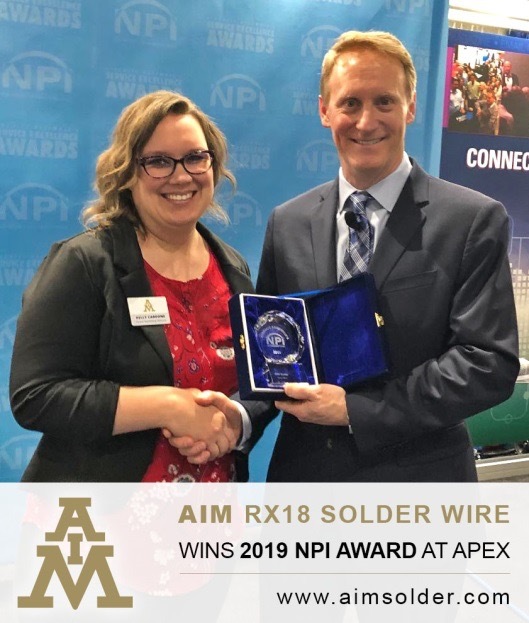 Additionally, RX18 was awarded Circuits Assembly’s 2019 New Product Introduction (NPI) Award during the IPC Apex Expo. 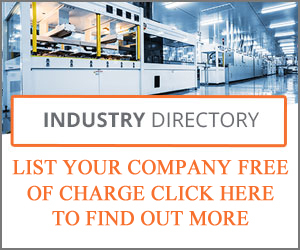 Selected by an independent panel of industry experts, the winners were selected based on creativity & innovation, compatibility with existing technology, cost effectiveness, expected reliability, performance, and more. This recognition confirms AIM’s commitment to developing state-of-the-art products to address current industry needs as well as emerging technologies.